Yes, that’s true: it was the powerful sunshine, Hungary’s favourable climate and geographical posititon, as well as the expertise and know-how of wine specialists that made our wines world famous even 1000 years ago. It may not be Hungary that would cross Your mind when you think of wine, but it is undoubtful that both Tokaj asszú and the Eger Bull blood are of international fame. 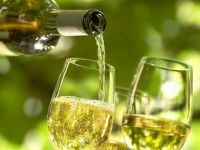 Nowadays, tasting wines is an elegant and very sophisticated hobby, a nice way of spending your leisure time and it is becoming more and more popular. 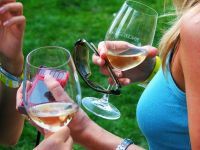 The annual wine festival organised in Budapest is attracting more and more visitors to the Hungarian capital. Whatever wish You may have, maybe as an average tourist having a nice evening out in a cosy restaurant with the supper including tasting wines, or being an ardent wine fan or even a wine expert who would like to know more about Hungarian wines, we are more than happy to help You find the proper venue, either being a restaurant, a wine cellar or a specific wine. Wine tasting takes place in a real original wine cellar being part of the Budapest „cave system” under the Buda Castle. Listening to the young wine expert provides a genuine experience. His enthousiasm, inborn talent, devotion and interest for wine is only exceeded by the passion we feel in his presentation of his wine cellar’s best wines. In case we know in advance what kind of wine You prefer, our expert will make You a personalised list of wines to be tasted. Duration: upon agreement. Price: from 26Eur per person ( the price refers to a minimum of 4 persons) Appetizer included. 2. Wine tasting including supper in a restaurant. You don’t need to travel far from Budapest in order to be able to visit the nearby vineyards and wine regions, and to get an insight of a real Hungarian family enterprise where everything is about wine.